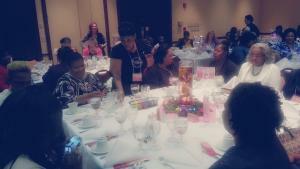 To Tell The Truth Women Ministry loves to empower, encourage, and uplift the women of the church. We want all our women to be in One Mind, One Spirit, and on One Accord. If you would like to join us we have our meetings every 2nd Saturday of each month or you can call us at (919)556-6402. 2015 Pre-Mother's Day Party Program ... See photos here.